A motorist was caught on speed camera travelling at 149mph on the M25 – the highest speed recorded by a speed camera between April 2013 and May 2014. The driver was caught in Kent and was banned from driving for six months and was fined £600. It isn’t the highest speed ever recorded, however – that record goes to driver Ben Westwood, who reached speeds of up to 180mph while trying to outrun the police in a stolen, modified Audi RS5. Prior to that the record was held by a Porsche driver who hit 172mph. 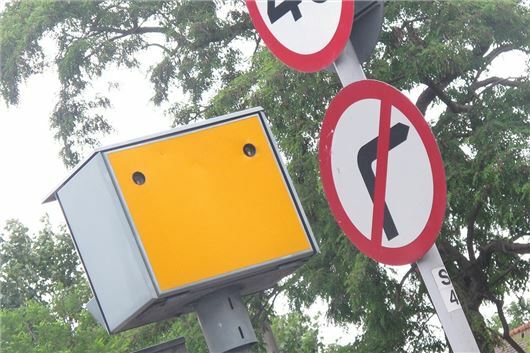 The latest information is the result of a Freedom of Information request by the Institute for Advanced Motorists (IAM) and it reveals some further shocking speeding offences. Freedom of Information requests were sent to 39 forces, of which 35 replied. Of those almost all recorded drivers at more than 100mph. Between April 2013 and May 2014 the highest speed recorded in a 30mph zone was 96mph, in the North East, while the highest speed recorded in a 50mph zone was 119mph. Another driver was caught at 127mph in a 60mph zone. Well that is simple to answer don't make cars for the road that can go over 100mph. Everyone is breaking the law and it is not a good feeling if you actually have a crash at that speed. Cars should be made to go at a speed and forget about what the driver wants to do, let the car or a car made for limits calculated for the road by road technology so they will not go over that limit. Everyone is rushing here and there and no thoughts for other people. Minimal sentences for these outrageous speeds and not comparable to those who speed on motorcycles, who are treated unfairly. A couple of years ago and motorcyclist got six months in jail for speeding on a motorway at well over 100mph. Which would do more damage in an accident at this speed - a motorcycle or a car? Bikers are always bleating about being treated unfairly, but I see plenty of evidence to the contrary. They are the single biggest group of consistent law-breakers. The only reason they get away with it is that many of them are off-duty coppers. What about those of us who drive responsibly, but want to take our cars on a track? Don't worry folks "Big Brother" will soon be controlling your old jalopy our two 12 year old ones are both capable of 140 mph!